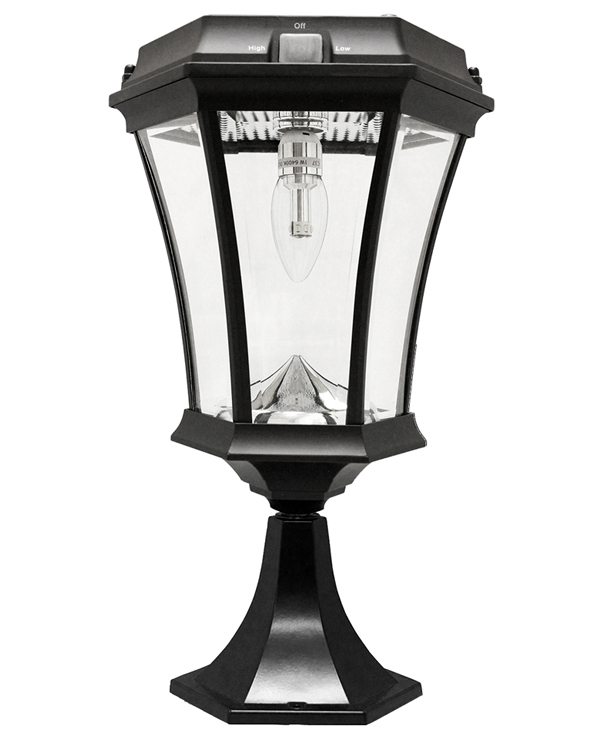 All of our Victorian Solar Lamps and Solar Lamp Posts combine modern solar lighting technology with classic 19th century gas light design. This new lamp, however, has a smaller reflective cone and new warm-tone LED bulb with a look more like traditional electric lamps. 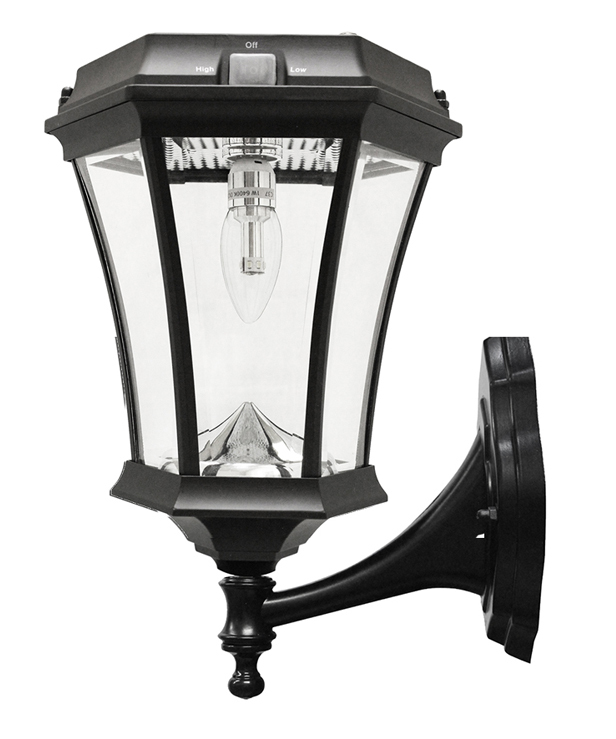 Available in black, the panes of the light are real beveled glass. 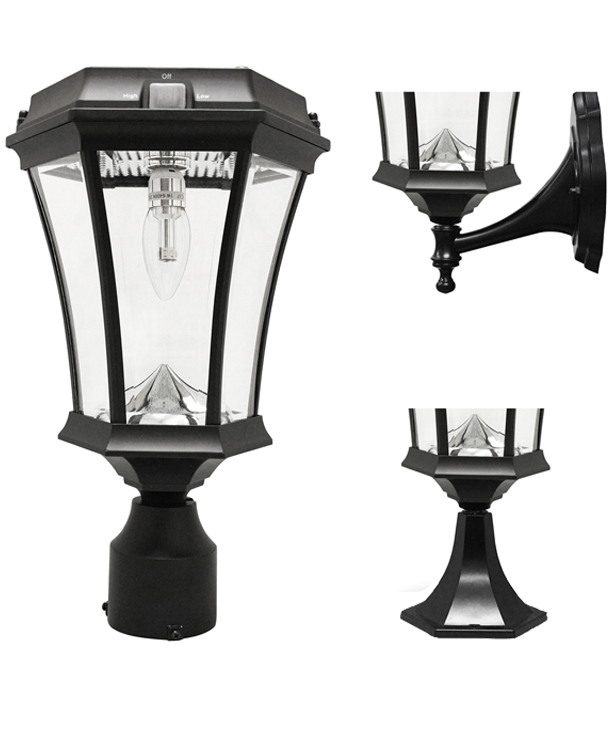 The weather-tight housing is made of cast aluminum with a powered coated finish for chip and scratch resistant low-maintenance. The redesigned, patented reflective cone intensifies the illumination from the LED and helps to cast warm-toned illumination effectively over a large area. 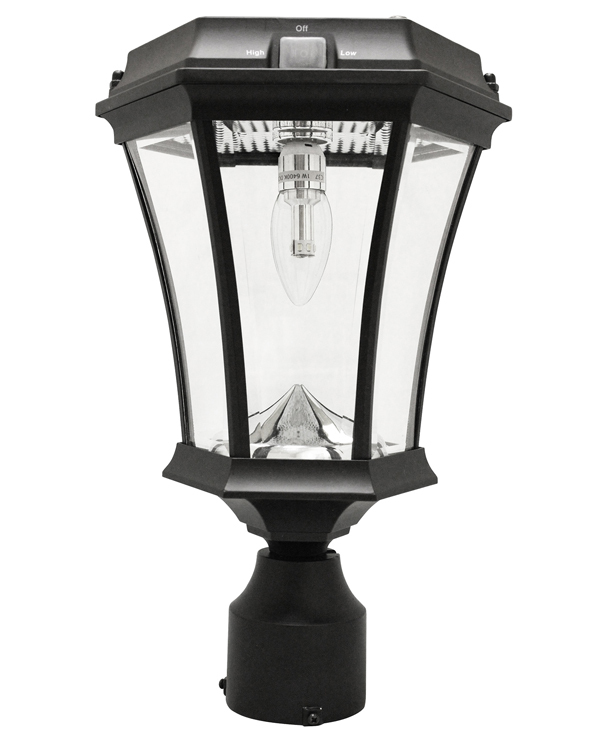 The Victorian Solar Lamp with new cone and LED has an exterior switch that lets you turn the light on and off easily or switch between high and low settings. 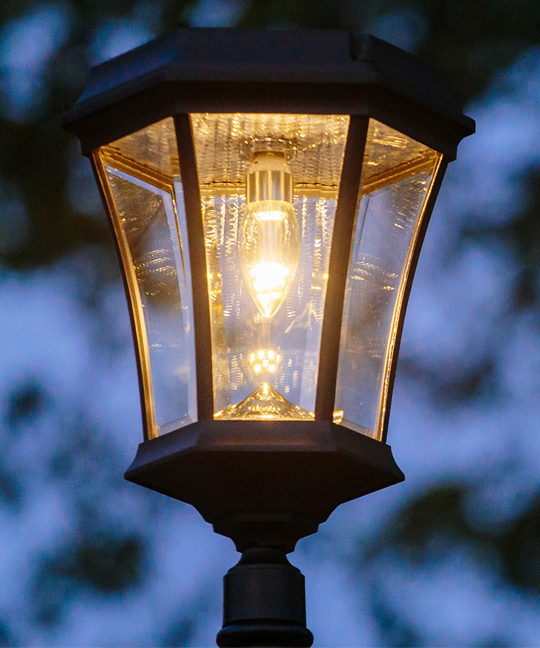 The low setting will provide longer operating times on less sunlight, though at least six hours of direct sunshine is recommended for all of our solar lamps. Typically, we recommend using the low setting during winter when days are short and nights are long, or after days without full sunshine. At 180 lumens in the high setting, the light is similar to that of a 45 watt incandescent bulb. In the low setting, the light is about that of a 30 to 35 watt incandescent bulb. On a full solar charge, the light will run 10 to 12 hours on the low setting, about 8 to 10 hours on the high setting. Battery typically lasts 2 to 3 years depending on sun conditions at installation site. 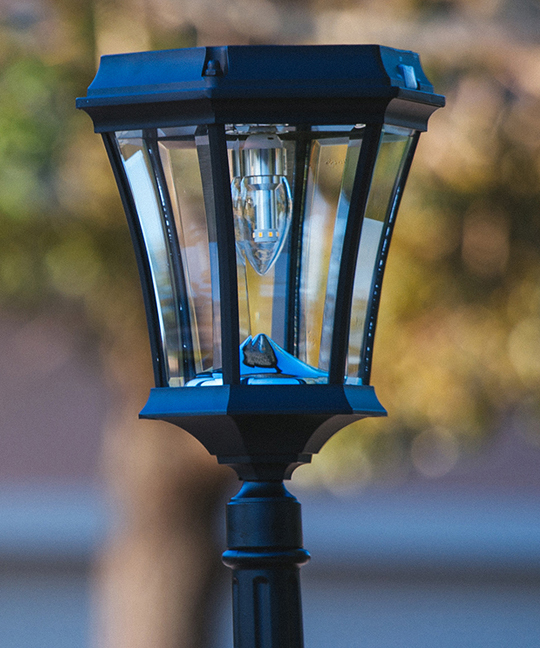 * Note: If this light is used to replace an existing fixture, please consult an electrician and/or plumber to make sure all electrical and gas lines are properly terminated in accordance with your local building codes.